Brain Atrophy or brain shrinkage is on the minds of many. As the number of baby boomers continues to mount, the notion of losing brain functioning and brain cells is on the minds of millions. Do you believe that you are too old to start an exercise program? Don’t believe it for a minute. It is extremely important that you remain physically active as you age. And don't think that you are to old to begin that exercise program. In a recently published study, exercise was shown to protect the brain cell loss of certain critical parts. There is a lot of hype out there today about the benefit of mental exercises. 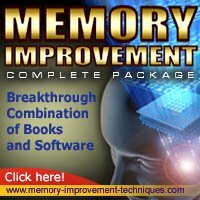 Numerous computer programs have been developed that help people, including seniors, to improve brain functioning. The ads for software are all over the internet. However, in a recently reported study by a team of University of Edinburgh scientists, physical exercise protected against brain atrophy. In fact, it had a great effect on age-related changes in the brain than did socially or mentally stimulating activities. Even when the researchers controlled for the effects of intelligence, health conditions, and social class, the results remained. The author of the study Dr. Alan J. Gow suggested that mental exercise was still important. However, he noted that in this study there was no measureable benefit. He suggested that increased mental exercise earlier in life may in fact be critical. So, does exercise prevent brain tissue loss? You bet it does at any age. So get out your walking shoes. Of course when you begin any exercise program you should consult with your healthcare provider.